Created with pledged agency Grey New York and directed by Kim Gehrig, the spot asked all of us to take a look at the ways in which masculinity can potentially turn toxic, to dismantle the classic “boys will be boys,” excuse for poor behavior, and to work together for a healthier, safer, more equitable world for everyone. It’s a message that recognizes that many are already stepping up to the plate to address these problems, and ends on an encouraging note, inviting audiences to continue to work toward a world filled with more benevolent expressions of masculinity, better for men and women alike. 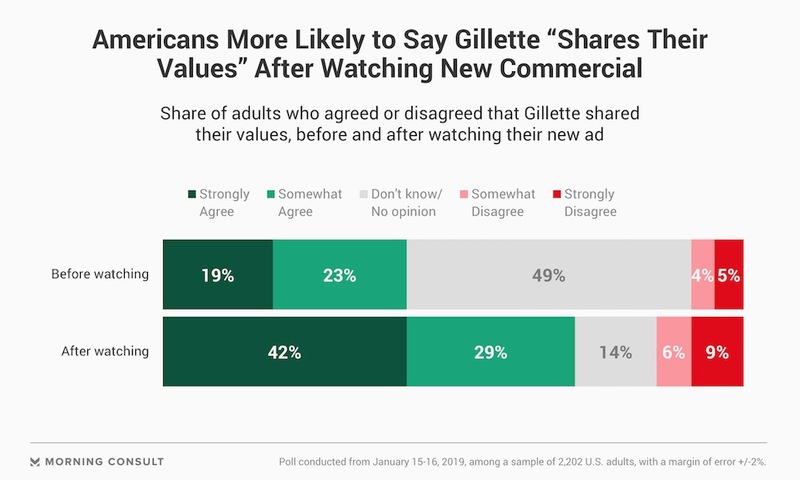 We commend P&G, Gillette and Grey New York for igniting a vital and important cultural discussion. It takes bold moves like this to shift the conversation and redefine the possibilities we’re shown onscreen in advertising – that’s exactly the kind of brave work that Free The Bid stands for. We’re looking forward to continuing to push the needle forward for men, women, and everyone of every gender, working alongside our committed supporters who aren’t afraid to address real issues.